Tromsø has long been known as one of the best locations to experience the Northern Lights. This is the ideal tour for people wanting a comfortable and high-quality experience while maximising their chances of seeing the Northern Lights. The hunt begins from Tromsø and takes you into the wild by coach with a stop at an Aurora Camp. The Northern Lights coach will pick you up from Tromsø town centre and take you to a location with the best weather & solar conditions for spotting the Northern Lights. After finding the ideal scenic backdrop and conditions for photos, your professional guides will help you with camera settings and photography to get the best shots of the Northern Lights. Although Northern Lights sightings are never guaranteed, we find them most of the time. Join us for a chase and experience the thrill! 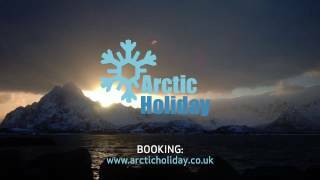 NB: Video shows other scenarios Arctic Holiday offers for Northern Lights watching. Contact us for details.